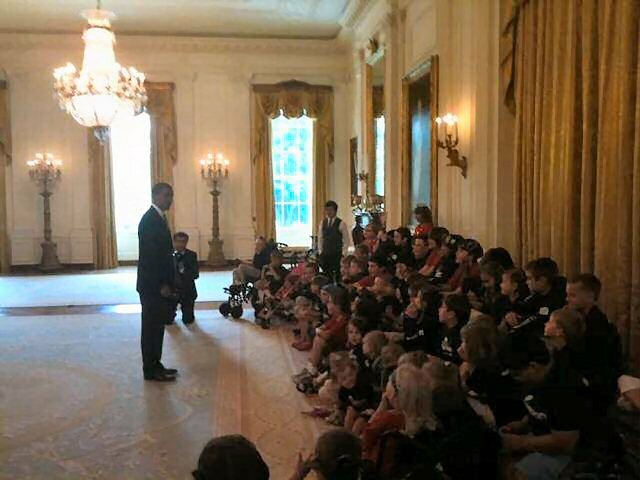 This afternoon David Archuleta and 51 children from the Children’s Miracle Network were at the White House. In the East Room David performed “Lean on Me” for the president and the children. We don’t have a video of his White House performance yet, but just yesterday David sang the most awesome a cappella version of Bill Withers’ “Lean on Me” at the book-signing event in Orem, Utah. (See video below.) 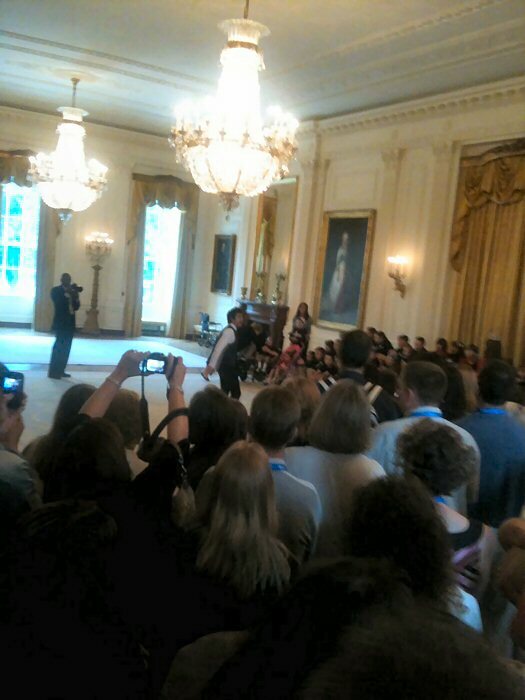 From this photo it looks as though David is performing a cappella with President Obama standing behind him. Later today David will sing the National Anthem at the Nationals baseball game. 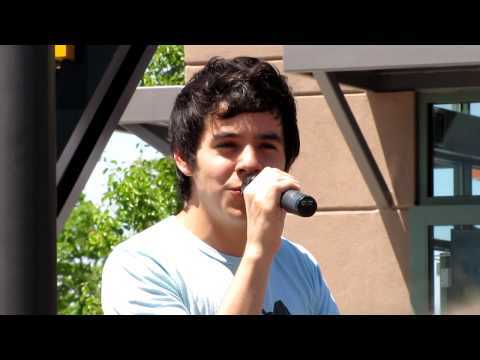 David’s “Lean on Me” performance in Orem, Utah, was perhaps the finest I have heard. The a cappella singer must deliver everything in a song with voice alone: tone, pitch, rhythm, dynamics. That isn’t easy! David can sing like this while suffering from seasonal allergies too! Amazing! Thanks to EvelynFOJG for the best fan video I have heard. Both audio and video are excellent! 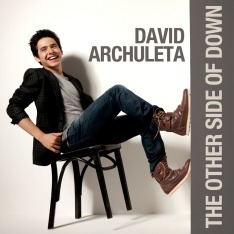 You can spot Lupe Archuleta standing behind David.